"The Real Reason You're Burned Out"
"How Tiffany Dufu, Author and Activist, Spends Her Sundays"
"The Key to Gender Equality Isn't in the Workplace or the White House—It's at Home"
"Want to Thrive at Work? You Need the Right Romantic Partner"
"Springtime Inspiration: 8 New Money & Career Books by Female Authors"
"Why I Dropped This Unrealistic Expectation of Doing It All"
"5 Ways Dropping the Ball Can Actually Benefit You"
"I Have my Four Go-To Habits: Go to the Gym, Go to Lunch, Go to Events, Go to Sleep"
"What Should Be Done About Mothers and Unpaid Labor"
"Why You Should Read Drop the Ball"
"An Economic Theory Developed in 1817 Can Cut Your To-Do List in Half"
"Which Lady Boss Book Should Be Your New Career Bible?" "Let it Go: Author Tiffany Dufu on Why Moms Should Drop the Ball"
"To-Do Lists are Out. Don't Do Lists Are In." 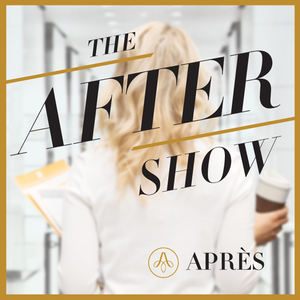 "The Simple Solution to Clearing the To Do List"
"Dropping the Ball and Other Leadership Lessons from Tiffany Dufu"
"Why Women Should Expect Less of Themselves and More of Their Partner"
"Too Many Responsibilities? Just Drop Them. Seriously." "Tiffany Dufu Talks About Her Memoir, Drop the Ball"
Podcast: "What if the Power Move Was Just to Let Go?" "How Tiffany Dufu Is Achieving More By Doing Less"
"Why Dropping the Ball Will Help You Win the School Year"
"Get That Life: How I Made a Career Out of Helping Young Women Succeed"
"How to Get Your Husband to Do More Around the House"
"How to Achieve More by Doing Less (Really!)" "The Joy of a To-Don't List"
Excerpt: "I Was the Family Micromanager—Here's How I Learned to Let Go"
"My Secret to Achieving More Is a Book About Doing Less"